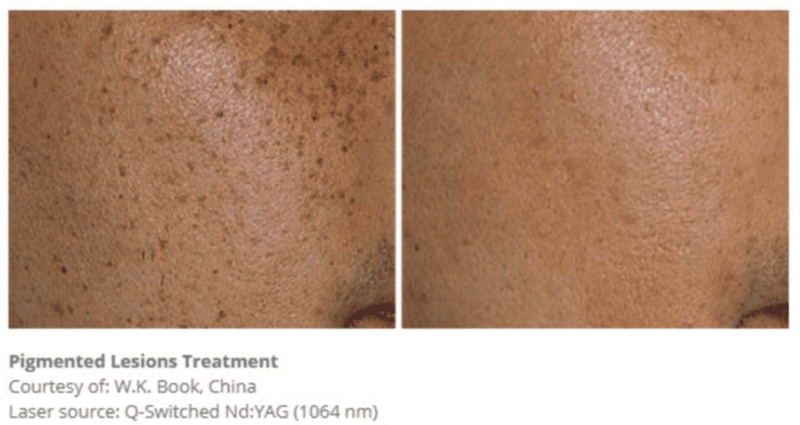 Lasers are a simple, fast, effective and safe tool for removing a wide variety of benign pigmented lesions, such as freckles, age spots, birthmarks, moles, certain vascular lesions, ephelides, melasma, seborrheic and actinic keratoses. Step 1 - LIGHT ABSORPTION: The laser produces short nanosecond pulses of intense light that pass harmlessly through the top layers of the skin to be selectively absorbed by the melanin pigment in the lesion. 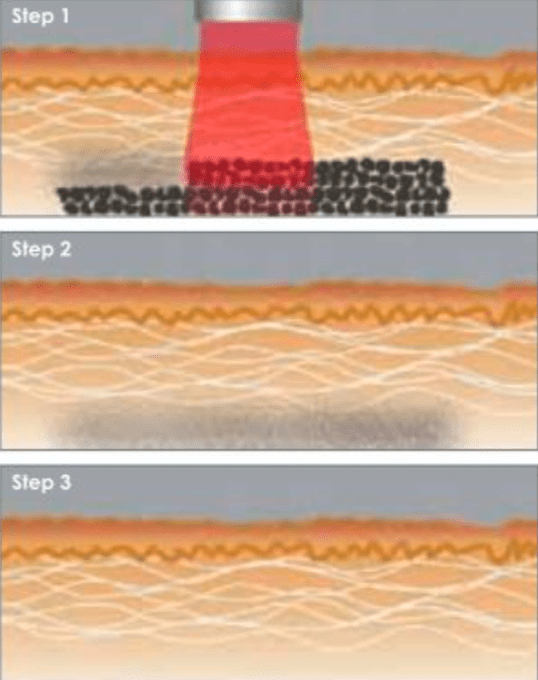 Step 2 – PIGMENT BREAK-UP: The laser light is transformed into photoacoustic waves which mechanically break up the melanin pigment into smaller particles. une system, as the skin's macro-phages clear the excess pigment from the area.